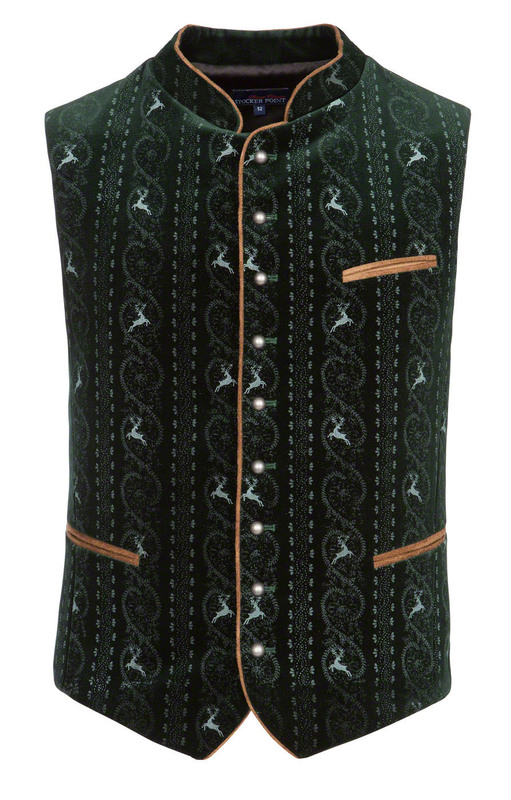 Dapper fir green waistcoat. 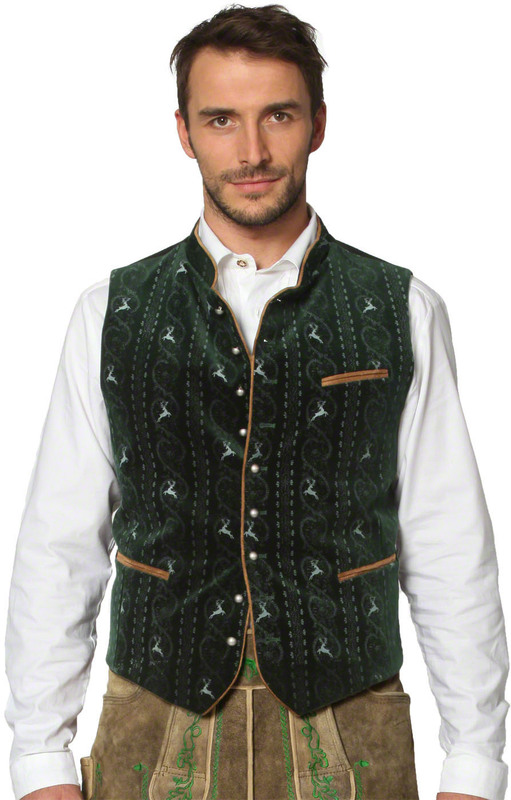 When a plain old checkered shirt simply won’t do for the festival, maybe the Antonio traditional waistcoat will fit the bill. 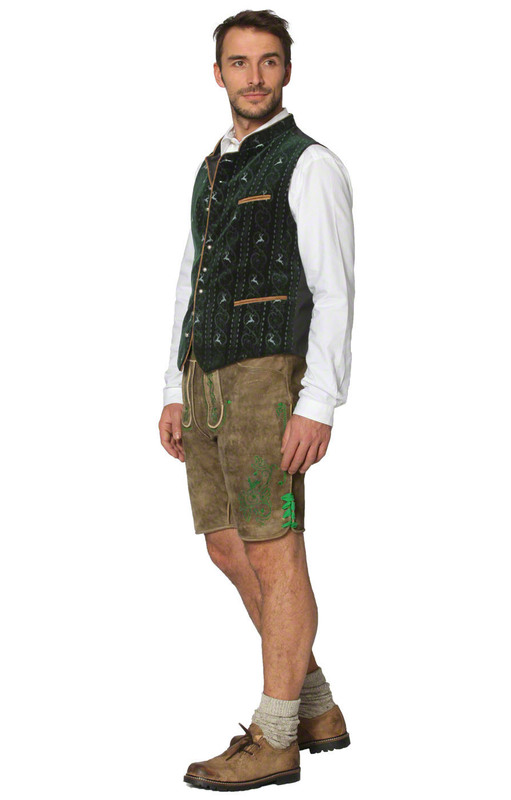 It looks stunning over a simple white shirt, and it complements a pair of brown lederhosen, like the Mike old-grey style, splendidly. 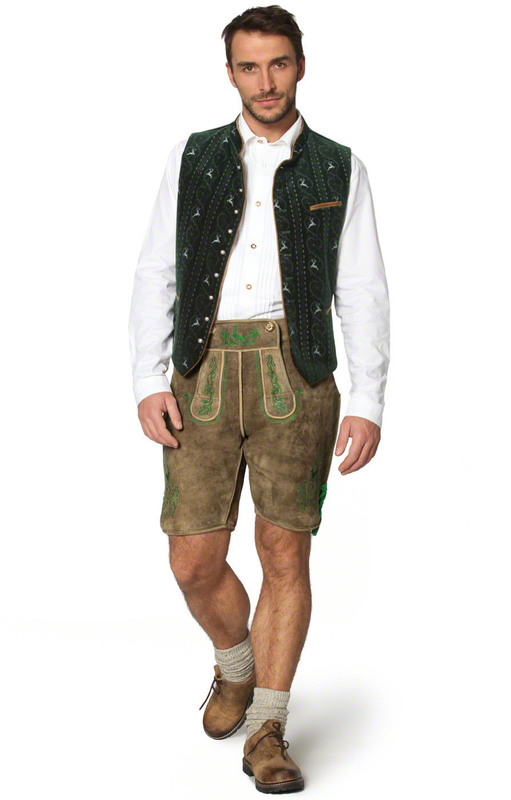 Metal dome buttons garnish the neckline and intricate Bavarian motifs are stitched on the stand collar. 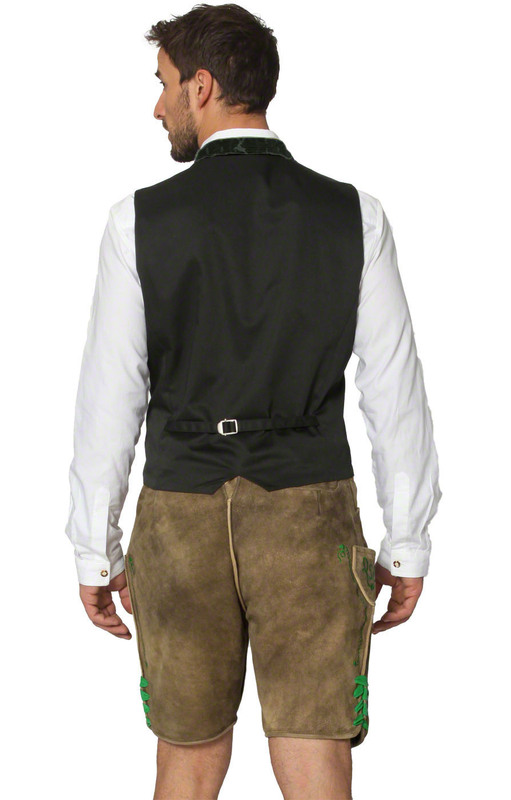 A bust pocket is piped with brown leather, as are the two side pockets below. The neckline and placket are also piped with matching leather. 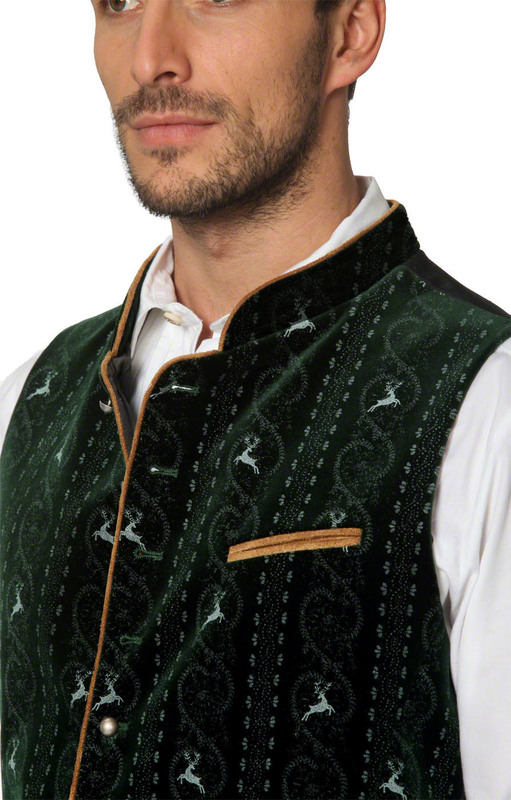 A lush, white scroll pattern with leaping deer printed on the rich first green background makes this a waistcoat in a class of its own.